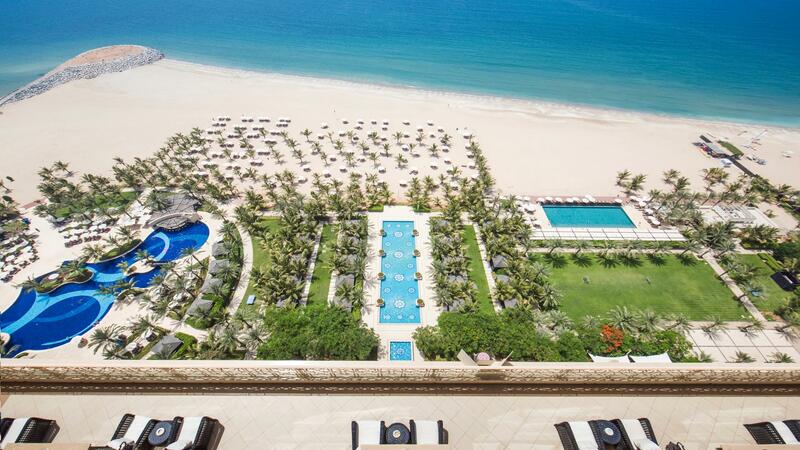 Waldorf Astoria Ras al Khaimah is cradled by the Hajar Mountains, a championship golf course, white sandy beaches and the azure waters of the Arabian Sea. 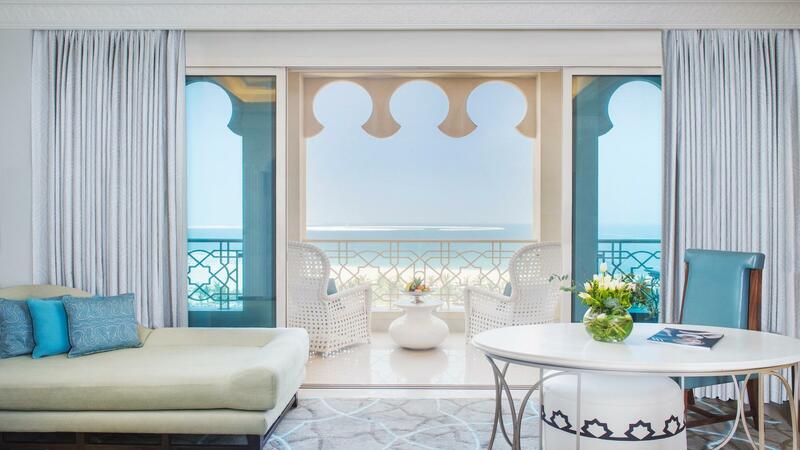 The Hotel is a mere 50-minutes from Dubai International Airport and brings True Waldorf Service to one of the most alluring beach front locations in the Middle East. Ras Al Khaimah is the destination of choice for adventure, nature and tranquility. This rising emirate boasts beautiful and dramatic mountains, azure blue sea with white beaches, red sandy deserts and lush green plains indented by a series of creeks and lagoons. Ras Al Khaimah has as rich heritage, dating back over 5,000 years which manifests in numerous historical sites, forts and abandoned villages and renowned for exceptional pearls. Discover a great range of extraordinary journeys. Glimpse dolphins while sailing on a traditional dhow to the beautiful Musandam Peninsula or partake in a desert or mountain safari by helicopter with breath-taking views of the sunset over the dunes and the summer house of the Royal Family atop the mountains. Whether working or relaxing, Waldorf Astoria Ras Al Khaimah offers these amenities and attractions for you to enjoy; Contact your agent for more details.